The Samsung Galaxy J2 (2017) is a nice-looking phone featuring a uniformed design. It has patterned feel on the rear to ensure it doesn’t slip off rather easily. The thickness is 8.4 millimetres, just about good enough for a budget offering. Samsung Galaxy J2 (2017) is on the light side at roughly 130 grams, thanks to its plastic chassis. The display has a diagonal size of 4.7 inches and uses Super AMOLED technology. Although the screen resolution is only 540 x 960 pixels, you can still expect quality images and good colours. This is no photography champion. Is it even realistic to expect it to be one at this price? Well, it isn’t. But the Samsung Galaxy J2 (2017) can still deliver images you can use. You will find a 5MP snapper on the rear plus a 2MP unit on the front. Samsung Galaxy J2 (2017) shoots HD (720p) videos at 30 frames per second. You get rather paltry storage of 8 GB, of which just about half is available to the user. Thankfully, you can add another 128 GB with a microSD card. Samsung equips this phone with its in-house Exynos processor – a quad-core offering. Maximum speed is 1.3 GHz and the chip gets support from 1GB RAM. This setup looks to offer enjoyable performance, if you don’t leave many apps open at a time. The Samsung Galaxy J2 (2017) should run on Android 7.0 Nougat operating system. If you wish to enjoy super fast data speeds, the Samsung Galaxy J2 (2017) will appeal with its 4G LTE support. You get a 2,000mAh battery in the package. This juicer lasts up to nine hours on an LTE network, according to Samsung. The Samsung Galaxy J2 (2017) offers other connectivity features, including microUSB 2.0, Bluetooth 4.1 and Wi-Fi. There is GPS and GLONASS for your positioning needs. Samsung Galaxy J2 (2017) is not officially available in Nigeria, Kenya, and Ghana. However, you may be able to buy the Android phone at leading online stores in the countries. Samsung Galaxy J2 (2017) Price in Nigeria is expected to range from 40,500 Naira to 95,000 Naira depending on your location in the country. Its price in Ghana starts at around GH₵ 510. 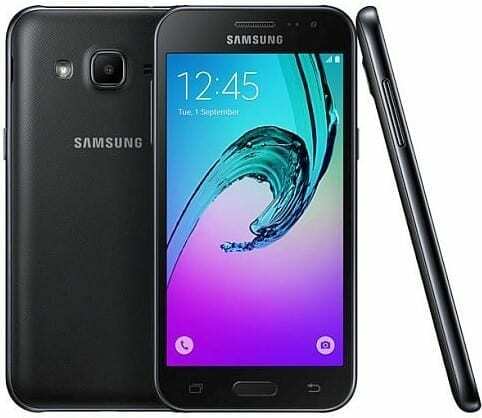 Samsung Galaxy J2 (2017) Price in Kenya starts at around 10,200 KSh. NAIJATECHGUIDE.